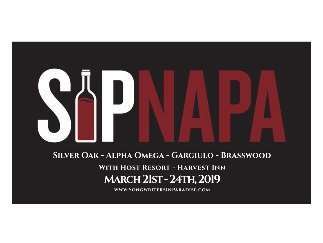 Songwriters in Paradise, a four-day singer-songwriter festival in the hills of Napa Valley, March 21-24, will wind down each day with Sip Napa at various local wineries. A ticket includes wine, light fare and more music. The festival itself, which occupies several venues, will feature performances by more than 20 world-class singer-songwriters, including those who have written hits for Zac Brown Band, Sugarland, Hootie & the Blowfish, Tim McGraw, Lady Antebellum, Jimmy Buffett, Rascal Flatts, Darius Rucker, Luke Combs, Chris Young and Jewel. We mean the likes of Patrick Davis, SIP Founder; Kristian Bush of Sugarland; Mark Bryan, Hootie & the Blowfish guitarist; Chris Barron, lead singer of the Spin Doctors; and James Otto, who found radio success with his hits "Just Started Lovin' You" and "Groovy Little Summer."